We had a great model today. The great thing for us is that he is able to maintain his pose for much longer periods of time. So whenever he poses for us, he’ll pose for 30 minutes instead of the usual 20 minutes. 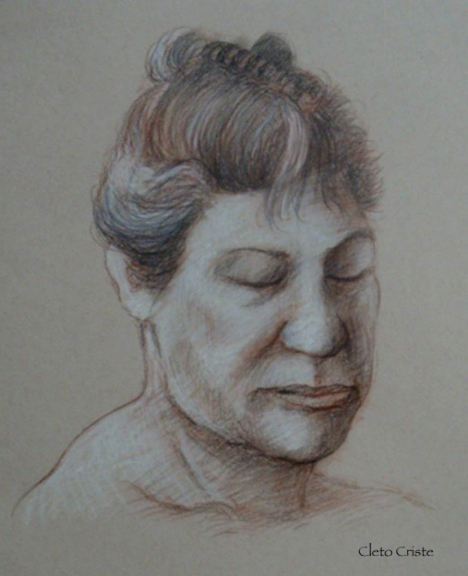 Below is a 30 minute drawing done on tone paper with black, white, and sanguine charcoal pencils. To see more of my artwork, please go to www.cletocriste.com. 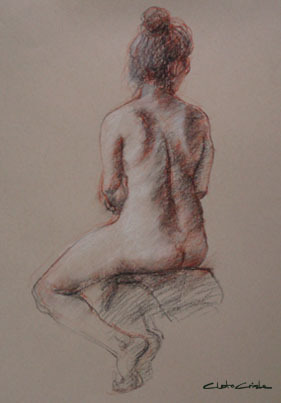 Twenty-minute three color drawing on toned paper from today’s life drawing workshop. He was probably modeling for the first time because his poses weren’t that dynamic, especially in the warm up poses, but he held them very well in the long poses. 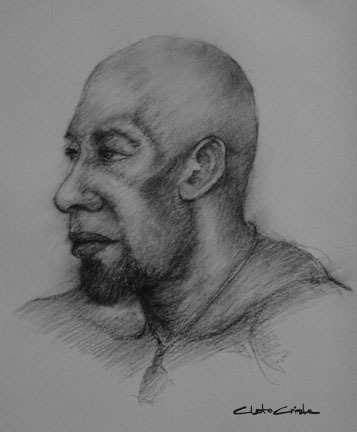 He had a very interesting face, though, and I felt I could get a good drawing from him. 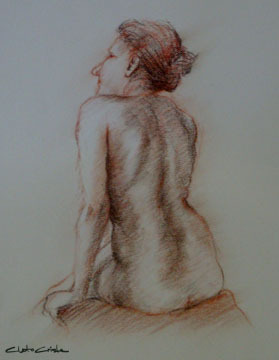 After working on my oil paintings all day yesterday I just felt the need to do some life drawing. Today felt like a great day for drawing. I did the three color chalk style drawings and felt comfortable doing it. Below are a couple of twenty minute drawings done with black, red, and white on tone paper. Please visit my art website at: www.cletocriste.com to see more artwork. 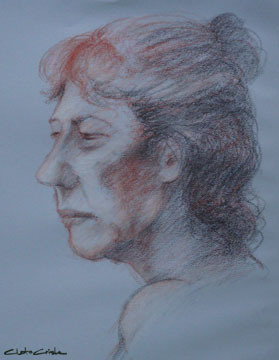 Below are my 20 minute three-color chalk drawing on tone paper. 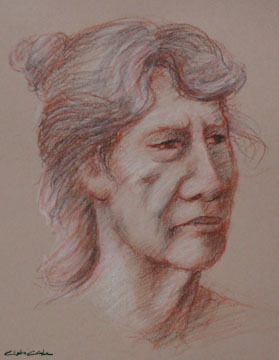 To see more of my artwork, go to www.cletocriste.com. It was a nice day of drawing at the life drawing workshop and I was pretty happy with how some of the drawings turned out. 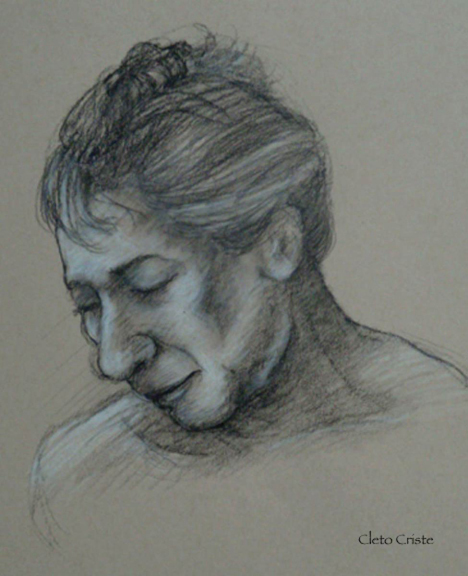 I sort of implemented a little of the Pierre-Paul Prud’hon drawing technique that was shown to me by a fellow blogger (Prud’hon technique) into the three color chalk drawing method. 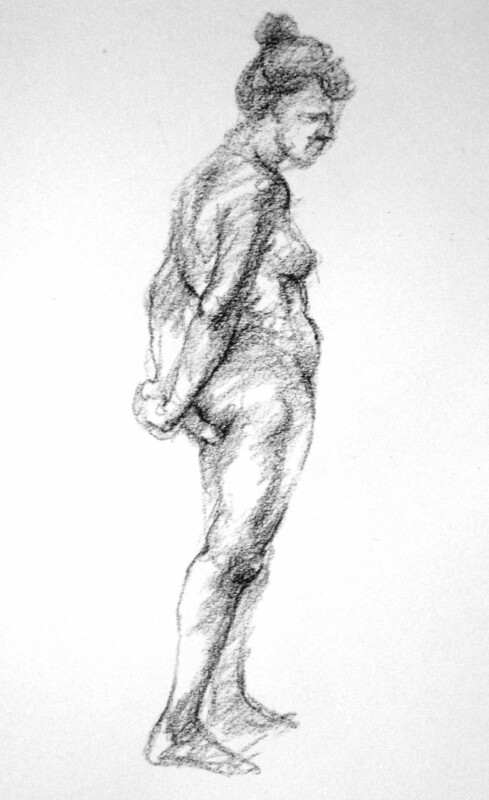 I don’t think there’s not enough drawing time in our workshop to fully explore Prud’hon’s technique. The longest pose is 20 minutes and I probably need another 20 minutes to make it really work. 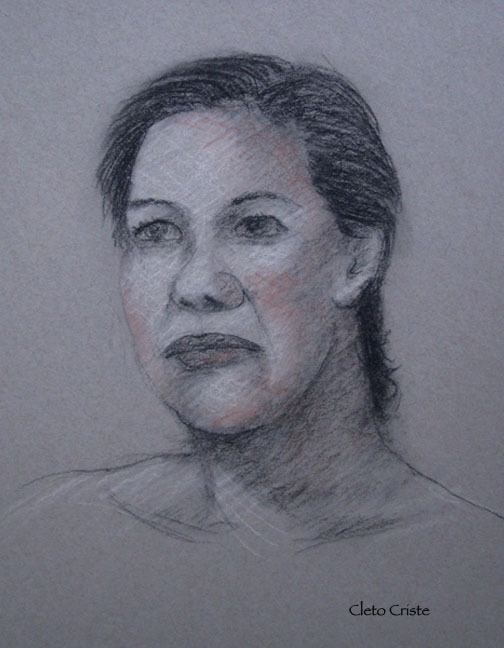 Below are two portraits I did of the model using the three color (red, black and white). Go to my website at www.cletocriste.com to see more drawings. We had a new model that I haven’t drawn before. 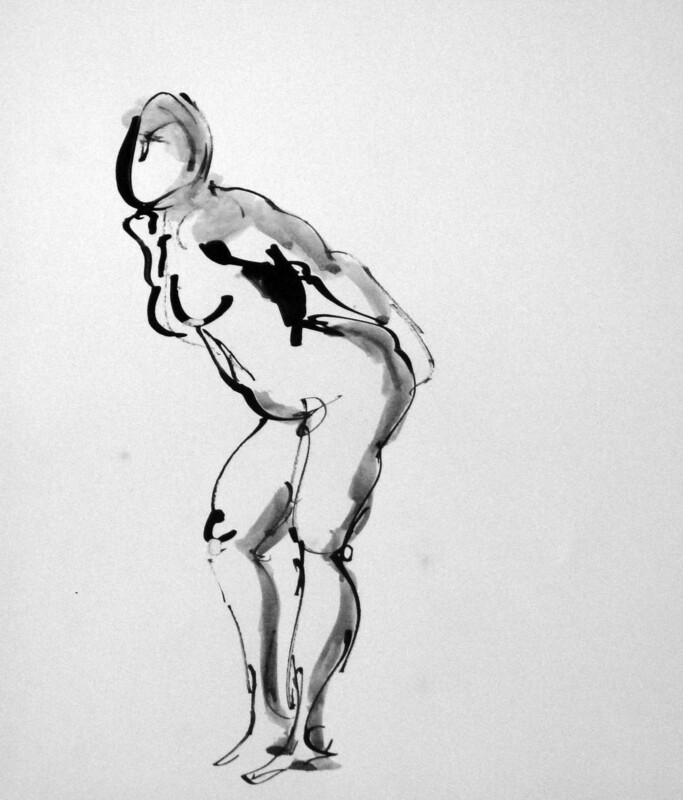 She seemed to be new at modeling for a life drawing class but she held her poses really well. 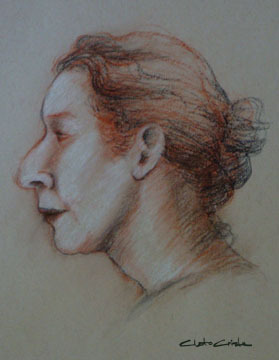 Below are 20 minute drawings done in three color (red, black and white) on toned paper. 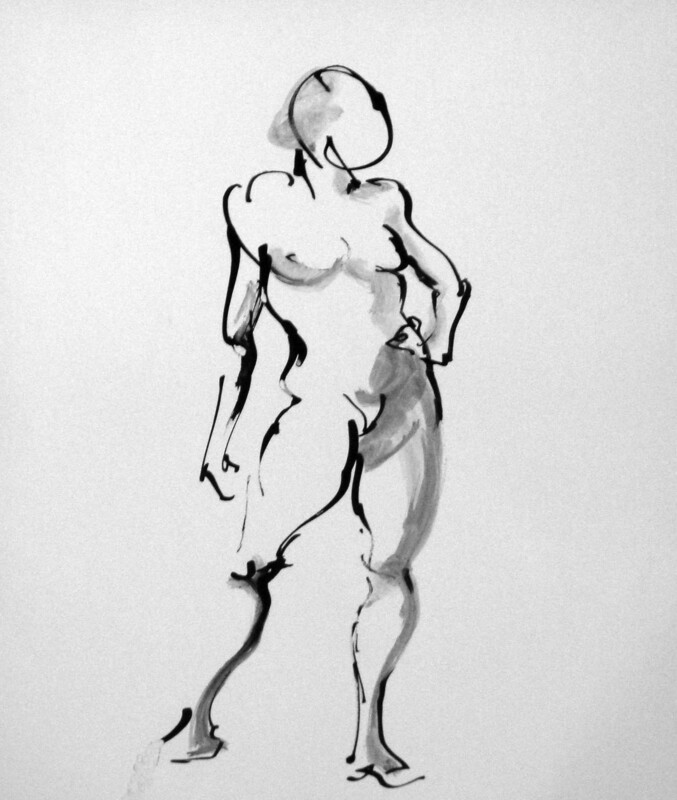 For more life drawings please visit my art website at www.cletocriste.com. The model scheduled for today’s workshop couldn’t make it so a substitute had to be called. She arrived half an hour later. We started late so right after the ten 2-minute warm up poses, we skipped the two 5-minutes and one 10-minute poses, and went straight to the twenty minute poses. The model was kind of tall and a bit on the heavy side but she was very good at holding her poses. I concentrated on just doing her face on a couple of poses and here are the results. 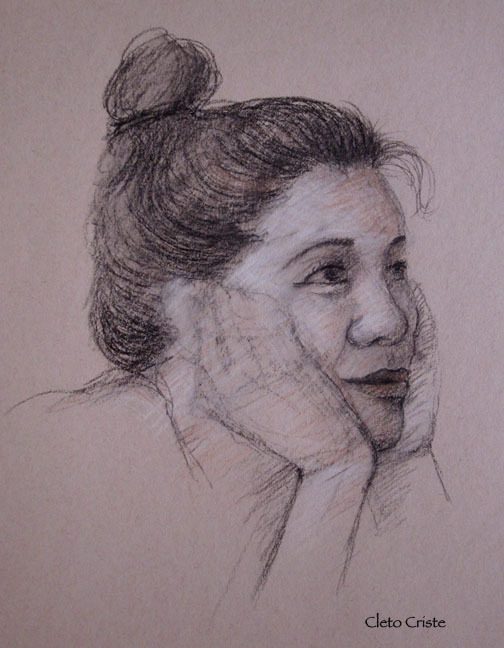 These were done on toned paper. 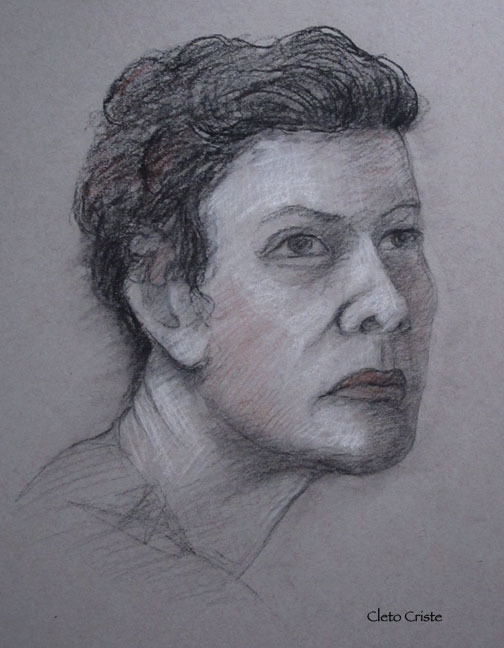 The first drawing is a three color chalk drawing (red, black, and white), and the one below it was done with black and white charcoal. 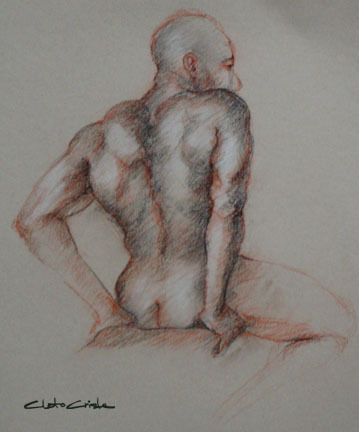 I attended the Sunday life drawing workshop after being absent the last two weeks. The model that was scheduled for today was sick so a replacement stepped in for him. It turned out for the better. The weather changed though as it got dark and rained heavily outside. It sort of changed the lighting condition in the room where it got really dark on our side, which made it a little difficult to see the drawing, but we made do with it. 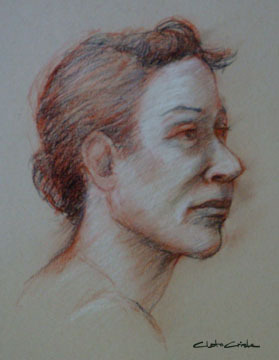 Here are some of my drawings from today’s workshop. 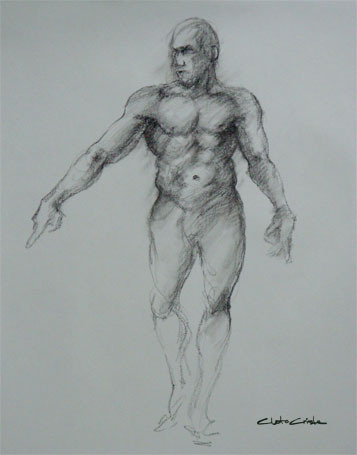 Some of today’s drawings from the figure drawing workshop with the model Quantae. It was a crowded figure drawing workshop today. 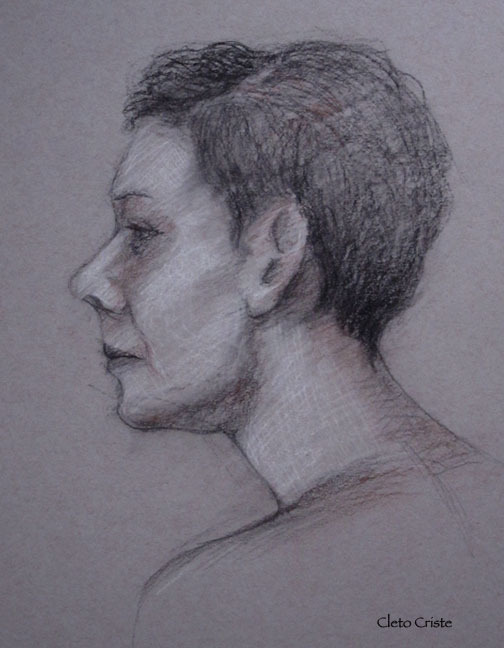 We had a very good model and I was able to get some decent drawings off of her. Here are some samples of the drawings I did.